After starting slowly and relying on traditional genre clichés, Shakma pitches a hyperactive baboon hissy fit in the second act and never lets up. The simian fury is relentless and builds to natural terror nearly on par with scenes in Hitchcock’s The Birds. A test lab baboon named Shakma gets loose on the night a group of lab rats play their regular live action role playing game. Christopher Atkins is the hero of the scientists, who fill their genre-defined roles in unremarkable ways. Roddy McDowall is the man in charge, and he muster up mild amusement for his performance. 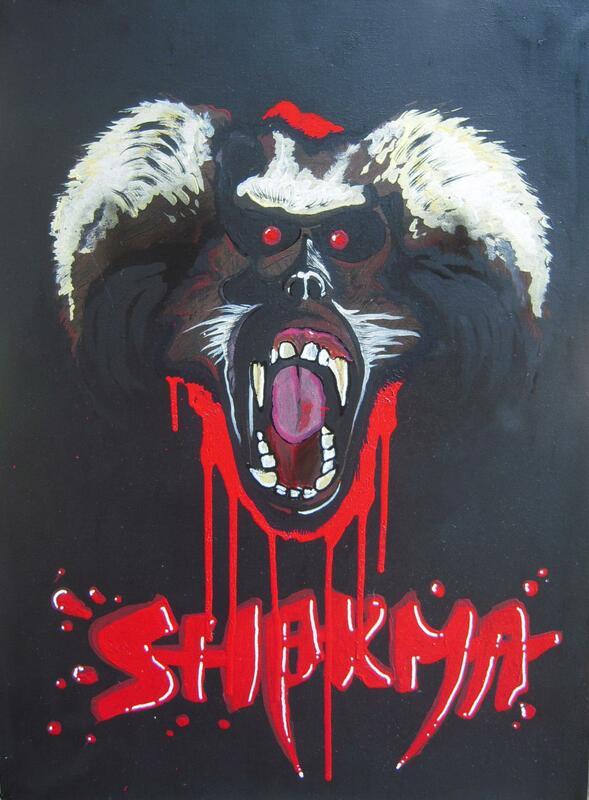 Shakma is just another movie to forget until the titular baboon gets a chance to strut its stuff. The well-trained animal, the staging, the editing, and the lighting come alive in attack after attack, as a medium dog-sized baboon lays claim to the building and lays waste on any human unfortunate enough to get in its way. When Shakma is reduced to a simple survival tale between man and best, the forgettable characters and stagey dialogue are left by the wayside. Animal actors have an advantage over humans – they can’t lie or be inauthentic. Like all of the best animal horror films, Shakma is a reminder the natural world is not populated by stuffed toys, and it’s all around us. Like a lesser King Kong, Shakma (played by “Typhoon,” according to his handlers at Action Animals), is a tragic character. He’s even more sympathetic and likeable than the human beings with whom he’s forced to act. He’s ferocious and frightened enough some viewers might worry about the health and safety of the actual animal, which could distract from the viewing experience. Assuming “Typhoon” was happy and healthy throughout this shoot, the baboon deserves credit for stalking and menacing teens with more frenzy than several decades of guys in white masks. Don’t believe me? Check out this action clip from Action Animals website.